The Society of Permanent Cosmetics Professionals hosts the annual Fall Conference in Philadelphia, Pennsylvania on September 22-23, 2012 at the Sonesta Hotel Philadelphia. The SPCP will present an outstanding lineup of speakers and topics including an SPCP-style hands-on demonstration for permanent cosmetic lip liner and lip shading to provide kissable, colorful lips. Permanent cosmetic eyeliner is beneficial for almost every client; an industry leader will discuss options ranging from lash enhancement to a more dramatic appearance. 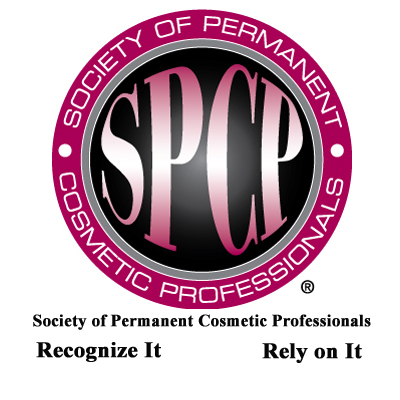 The SPCP is the only permanent cosmetics organization offering me continuing education for my career! The Society of Permanent Cosmetics Professionals (SPCP) hosts the annual Fall Conference in Philadelphia, Pennsylvania on September 22-23, 2012 at the Sonesta Hotel Philadelphia. The SPCP will present an outstanding lineup of speakers and topics including an SPCP-style hands-on demonstration for permanent cosmetic lip liner and lip shading to provide kissable, colorful lips. An international industry veteran will address how to perfect the eyebrow shape for every face. The superstar lineup continues with the relationship between permanent cosmetics and the medical arena, as well as understanding the skin canvas and how it affects permanent cosmetics. The journey of successful corrective permanent cosmetics will benefit technicians of all skill levels. As the population continues to age, permanent cosmetics also gains popularity, technicians will be equipped with tips and skills to adapt to the aging society. Permanent cosmetic eyeliner is beneficial for almost every client; an industry leader will discuss options ranging from lash enhancement to a more dramatic appearance. The Society of Permanent Cosmetic Professionals is the largest non-profit organization for the permanent cosmetics industry that is owned, operated and controlled by its domestic and international members since its inception in 1990. The SPCP provides industry certification, distributes the SPCP Quarterly, maintains annual CD membership directory, provides educational events and materials, and actively supports fair industry legislation. As is standard at the SPCP conferences, the Train the Trainer class will be offered before the main event on Thursday and Friday, September 19-20, 2012. As is standard with all fall conferences, the most comprehensive industry specific bloodborne pathogens infection control course is included with the cost of attendance. Philadelphia remains a preferred location for Fall Conference; for the fifth time the SPCP will return to a favorite hotel. Sonesta Hotel Philadelphia was formerly known as the Crowne Plaza. This hotel has always received the highest evaluations for attendees. The staff is warm and inviting and the great downtown location is convenient and rich with history. Visit Independence National Historical Park, America’s most historic square mile showcasing attractions such as the Liberty Bell and Independence Hall. More than a decade of development has transformed the region’s dining scene from merely memorable to absolutely abundant with great restaurants. By popular demand, the SPCP is presenting two of the industry’s main permanent cosmetic procedures, with a demonstration of lip procedures with tips on how to master technique, as well as how to create the perfect eyebrow. The speaker line-up is incredible and includes many industry veterans. The SPCP will address how to market your business to the medical community, “A synergetic Relationship: Permanent Makeup and the Medical Arena.” A skincare specialist will explore the contributing factors that affect results of permanent cosmetic procedures, “Understanding Our Canvas.” Tips and techniques for the eyeliner procedure with either a lash enhancement or dramatic wings will offer flexibility and options for clientele. Technicians will benefit from “Corrective Permanent Cosmetics, Understanding Your Limits.” As always, members can become certified through the SPCP during this event, as the CPCP exam will be offered on Sunday, September 23, for those registered in advance. Space is limited to 100 attendees and the SPCP expects to have full attendance. Pre-registration is required, so register early. Join the SPCP in historic downtown Philly this fall. Help support the SPCP by staying at the Conference hotel. Due to the generosity of those who participated in the SPCP Auction, the attendance fee will remain the same as last year’s rate. Come be a part of this exceptional opportunity to stay on top of this rapidly growing industry with continuing education on September 22-23 and to take in all the history this city has to offer! Rooms available for $149 per night plus tax, under the SPCP room block (limited number). About The Society of Permanent Cosmetic Professionals. The Society of Permanent Cosmetic Professionals was founded in 1990 and is the largest non-profit professional association in the United States and internationally for the permanent cosmetics industry, also known as permanent makeup. The SPCP is dedicated to promoting permanent makeup safety, excellence, and professional standards by providing education, certification, and industry guidelines.